Two Wild and Crazy Pies! 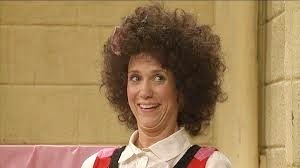 I have always been a huge fan of Saturday Night Live from my childhood through my adult life. Improvisation and satire are a passion of mine and watching Saturday Night Live over the years makes me feel like I had the best comedic education. 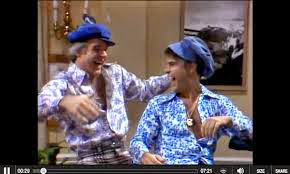 Ranging from Cheese Burger Cheese Burger with Dan Aykroyd and Jim Belushi to Gilli with Kristen Wiig. 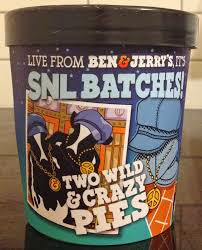 Now Ben & Jerry's has come up with something "wild and crazy" to coincide with the 40th season of Saturday Night Live. Ben & Jerry’s fans are in for a “swinging” good time with the newest Saturday Night Live-inspired flavor, Two Wild & Crazy Pies. 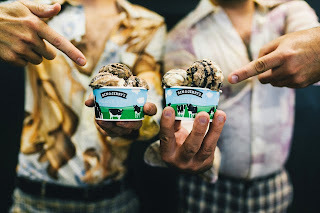 With inspiration from the classic SNL sketch starring Steve Martin and Dan Akroyd, which first aired in 1977, Two Wild & Crazy Pies combines coconut cream pie ice cream, chocolate cream pie ice cream, and adds in a scrumptious chocolate cookie swirl. This is the third of four unique SNL-themed Ben & Jerry’s flavors to appear at the company’s Scoop Shops nationwide. This special flavor looks delicious! Luckily they didn't attempt to make something for Colon Blow cereal or The Bass-O-Matic. This flavor will be available exclusively at Ben & Jerry’s Scoop Shops across the U.S! Grab some Wild and Crazy Pies and watch your favorite Saturday Night Live Sketches!